Vermont giving rise to such bucolic imagery, it’s no wonder why businesses well outside of it try to capitalize on the Green Mountain State’s charms. It’s even been suggested that packaging decorated by drawings of farmhouses, covered bridges and snowy peaks enables a markup in price, consumers rarely reading the fine print about where the product really originated. All of which has to draw a rebuke from companies that truly are Vermont to the core. Companies such as Lyndon Furniture. 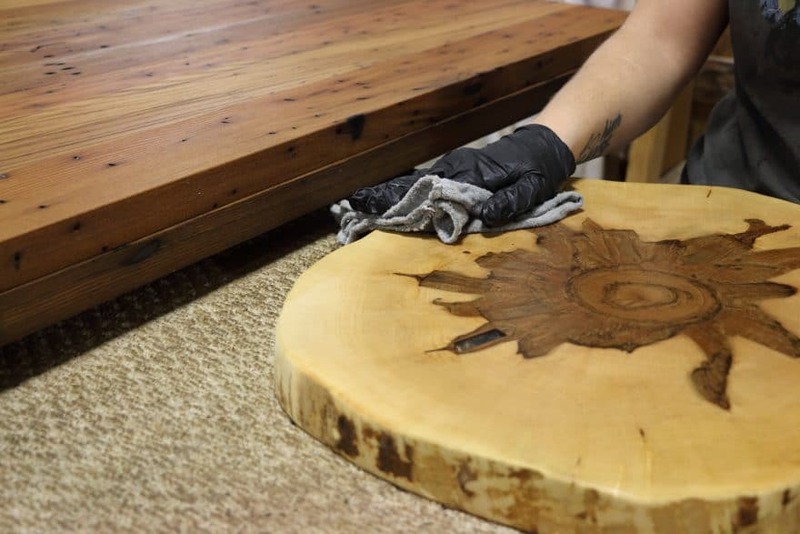 For this woodworking company is about as Vermont as one can be, its headquarters in the town of Lyndon, whose population of around 6,000 makes it the second-biggest municipality of the largely untamed 2,030-square-mile area known as the Northeast Kingdom that borders Quebec. When the roads ice over, as they’re likely to even come fall, the transportation of that high-end, hand-crafted furniture presents its own challenges, but the clientele of nationwide retailers still finds a way to obtain it, either through Lyndon Furniture’s delivery services or via common carriers. 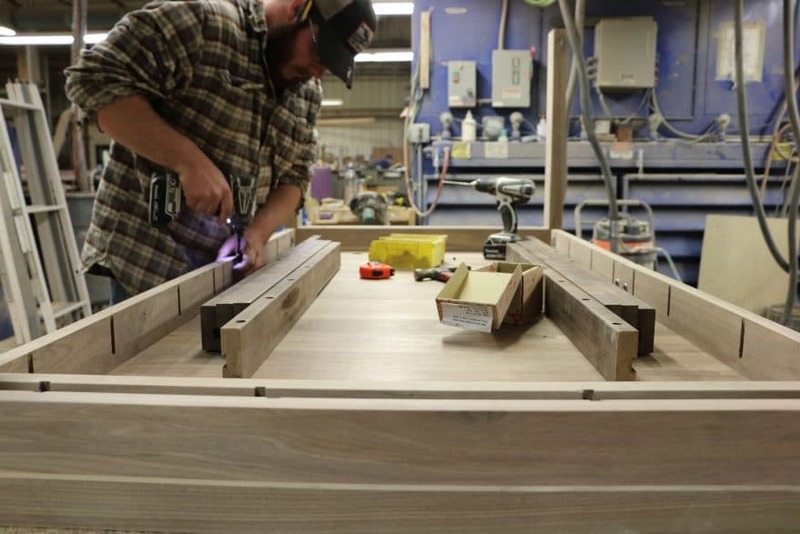 After all, not only is it quality furniture, it’s from Vermont, fashioned out of northern hardwoods by Yankee craftspeople whom you’d be hard-pressed to permanently drag out of the 802 area code. 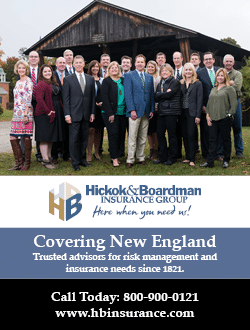 Like protégé Ball, Allard grew up in the region, and continues to maintain a mentoring presence at the company he founded in 1981, that since has grown into one of the region’s major employers, with a work force of 90 and annual revenues of $13 million. Allard’s business model—sustained by Ball—wasn’t unique; essentially it was creating a demand for a distinctive product for which the discerning consumer wouldn’t mind paying extra, such quality not found in mass-produced imports, and emphasizing customer service. The Vermont brand wasn’t quite so coveted a few decades ago, but products like Lyndon Furniture would figure in its growing popularity. The product line grows regularly, with recent additions including customized beds in queen or king sizes, as well as platform style with a low footboard. Such beds can be fashioned out of cherry, maple, oak or walnut, and similar options abound for the many varieties of bedroom furniture. New lines are regularly introduced into the rest of the company’s offerings, which include dining and work tables, chairs, home office furnishings, entertainment centers and bookcases. The Homestead Collection might be the most savored, with its array of items literally salvaging history, having been made from lumber reclaimed from historic factories, homes and barns. It takes a particular sort of craftsmanship to fashion such a collection, a sort that seems second nature at the Lyndon facility, given the company’s emphasis on reuse and recycling. “Remember, we’re old Vermonters who believe ‘waste not, want not,’” reminds Ball, who at 47 is decades shy of being a grizzled old denizen of the state he’ll always call home. That said, there’s old-school sentiment in this boss, even if it’s complemented by more contemporary concerns such as keeping the green in the Green Mountain State. The company’s green creds are legit enough to have garnered the Vermont Governor’s Award for Environmental Excellence in 2016, the state recognizing Lyndon Furniture for reducing annual toxics by 76 percent, emissions by 70 percent and overall waste by 50 percent or 2,000 pounds—literally a ton of trash that’s no more. In a reflective mood during a September interview with Vision, Ball wanted to discuss another subject, one in which he finds the wood industry unduly maligned. The industry itself does a lousy job presenting itself, he says, adding that clear-cutting rather than sustainable forestry too often comes to mind when the public thinks about how trees are harvested. But Ball didn’t have too much time to discuss forestry or anything else that day. The leaves were still a few weeks shy of a delirious golden, but the onset of autumn marks a busy time at Lyndon Furniture. The holidays not being far off, people everywhere are preparing for feasts, and that could up the demand for tables, chairs and hutches. There might not be a company anywhere whose kitchen furnishings so speak of a New England Thanksgiving or Christmas. And it’s not just residential customers whom the company must satisfy. Commercial clientele includes libraries, assisted living facilities, college dorms and classrooms, and offices. A Vermont neighbor, the Jay Peak ski resort, outfits its Tram Haus Lodge with Lyndon Furniture. While Lyndon Furniture doesn’t sell directly, it’s enough of a recognized brand to be found in most every market, its lines carried by Room & Board—its top retailer—as well as others, including Exeter Table Co., Circle Furniture and Rejuvenations. 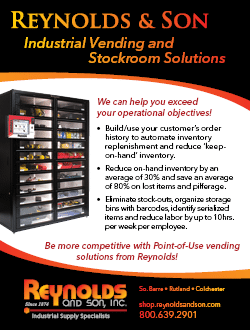 The company website also directs potential customers to the closest stores. 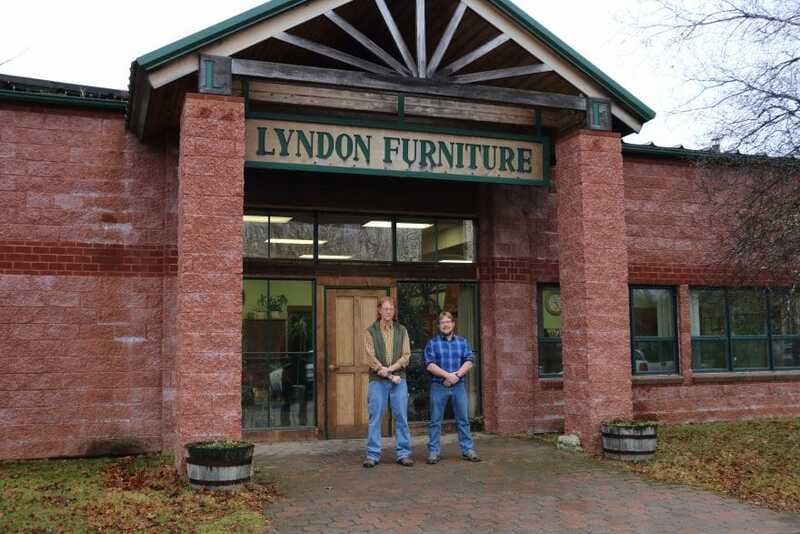 While Lyndon Furniture was staggered by the Great Recession of a decade ago, business has long since resumed being brisk, with 80 percent growth during the last five years. Ball doesn’t see that changing. After all, the finely crafted furniture is from Vermont. Really.